Today, I’m doing something I’ve never done before. I am reposting a blog post! A “from the archives” thing. Betty Beguiles is inviting bloggers to share their engagement stories, and since it has been over two years since I shared mine, I thought I’d share it again. If you’ve already read it, feel free to pass it by. But perhaps some kind people who are newer to my blog will enjoy it, as much as I’ve enjoyed reading all the other engagement stories linked up at Betty’s today! 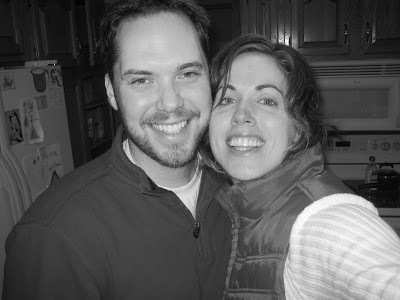 Today is an anniversary of sorts … It was eight years ago today that my husband asked me to marry him, and I said, “Yes.” It also is the anniversary of our first, official date. Yes, that’s right. That would mean we were engaged on our first date. But there’s more to the story than that … Allow me to explain. For six months prior to our engagement, Greg and I shared a Christian friendship. As we were getting to know one another, God began revealing—to each of us—His plan for us to marry. After enjoying exhibits at a science museum, we went out for dinner. Then, we drove to the church where we first met and where we both attended Mass. The church was closed for the night, but Father was there to let us in. We went into the chapel and knelt in front of the crucifix. Greg recited Proverbs 31 to me, with which I was unfamiliar but thought was so beautiful, and he prayed in thanksgiving for our relationship. Then, he turned to me and said, “I want to walk with you to heaven.” He promised to be a good husband and father to our children. At this point, I thought he was going to ask me to be his girlfriend. But no. He went right past that, got on one knee, pulled out a ring and asked me to marry him. I was shocked indeed! But, knowing this was ultimately God’s will for us, I knelt next to Greg, hugged him and said yes. Father then came in and gave us the engaged-couple’s blessing. I always remember this date with fondness, because I love thinking about our crazy story! It makes me laugh with joy! But I also reflect on what a big milestone that was on our journey together. It was just the beginning … We put a lot of faith and trust in the Lord, jumping into our vocation, and He has indeed blessed us and given us abundant grace to embrace everything that has come our way. Nine+ years. Six kids. A few job transfers. Four moves. In a way, it is still the beginning, especially when I think of couples married for 20, 30 … 50 years. The Lord only knows what the future holds. I am just grateful that we are in this together, and that the Lord is guiding us every step of the way. Thanks for sharing. I lub your story! Anyway, lest I ramble all day… lovely story. What a beautiful story! I hope you share it with lots and lots of people to witness how powerfully and purely God can work without following the ways of the world. I'm glad you posted it again or else I may not have ever read it. God bless you both! A beautiful story. I love to read how so many stories from the engagement link up start with prayer. Like you, my husband and I first went over all the important 'markers' so to speak. What do you think a God centered marriage is? Who will lead? What do you think about debt? How do you see a family life? Only when we found out we were spiritually suitable did we allow ourselves to become emotionally attached. And from that attachement, the step to the commitment of marriage was a short one. I agree with Molly! No matter how many times, I still LOVE hearing this story. What a truly beautiful way to start a life together. I pray my own children can have this rock solid start. Loved your story! A lovely re-visit! I love it when your husband said, "I want to walk with you to heaven." Ahhh, so sweet. Love this story. I didn't know and I'm glad to have read this today. Thanks for re-sharing this.